Pronto Fresco invited Pronto Fine Foods to attend an exclusive dinner in the heart of the Italian food region, Parma. 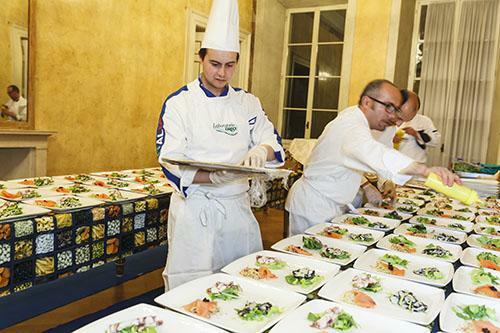 Held in a beautiful historic building known as the theatre home of Opera, Pronto Fresco Chefs prepared exquisit dishes all based around the finest products of the region. Pronto Fine Foods brought back many ideas and products from this event. Contact us now to hear about some of them.